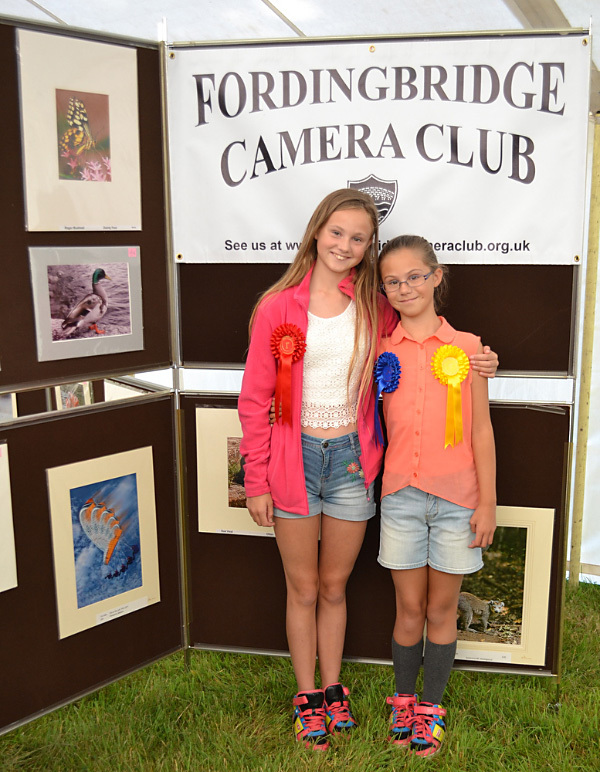 Today was Ellingham Show where the club runs the photographic competition for the show. Friday was acceptance day where the entrants brought in their photographs, all correctly marked up with name, title and class, well perhaps some did but it was good that we had a few spare pens. The photographic display was busy through the whole day, never a quiet moment. These two young ladies were spotted on our stand with their 1st, 2nd, and 3rd rosettes. Not to miss a photo opportunity they and their parents were asked if it was OK to take a picture for our website. The two young ladies were composed by Anne and photographed by Christina. A small point to note was their rosettes were awarded for painting not photography but it was a fun diversion and the young ladies were happy.